Interior design made simple with this contemporary Safavieh Courtyard area rug. Contemporary dicor is made simple with this indoor/outdoor piece, made of plush synthetic material. Its machine-made construction is sure to endure the constant treading of feet and furniture. Include this floral plants patterned grey rug in your living spaces for a high quality and high fashion look. 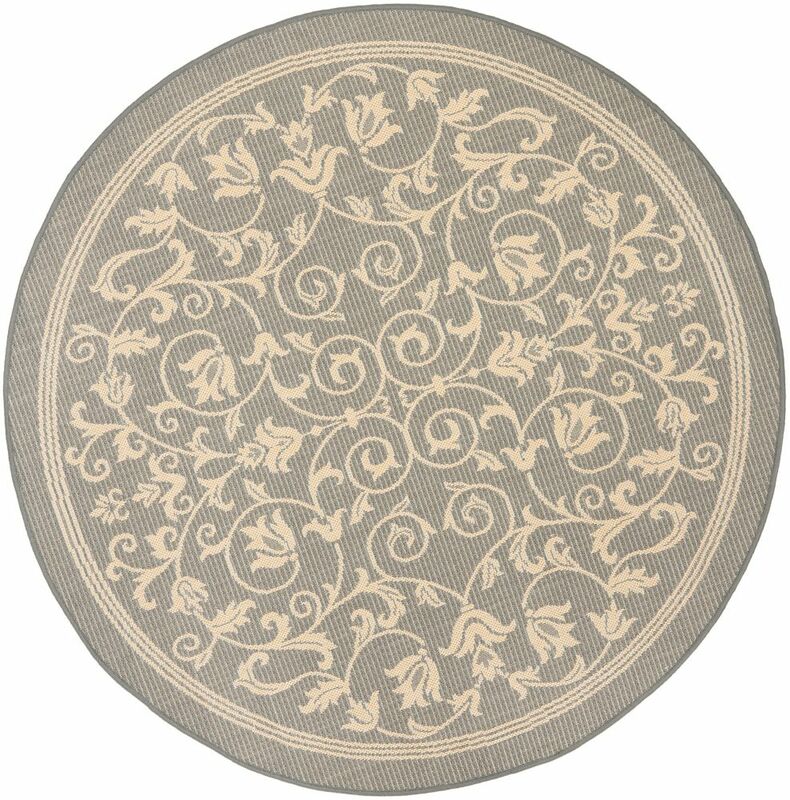 Courtyard Marc Grey / Natural 6 ft. 7 inch x 6 ft. 7 inch Indoor/Outdoor Round Area Rug Interior design made simple with this contemporary Safavieh Courtyard area rug. Contemporary dicor is made simple with this indoor/outdoor piece, made of plush synthetic material. Its machine-made construction is sure to endure the constant treading of feet and furniture. Include this floral plants patterned grey rug in your living spaces for a high quality and high fashion look.